Welcome to Apartment List’s February 2016 Chicago Rent Report. With rents rising across the country, we took a look at some of the largest U.S. cities to see how they fare, and Chicago is a fairly affordable city compared with other cities of similar size. 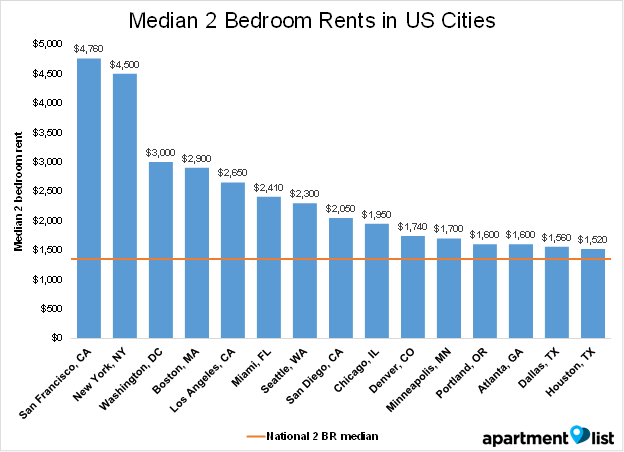 With median rent rates of $1,950 for a two-bedroom and $1,600 for a one-bedroom, Chicago is the 12th most expensive city in the United States. 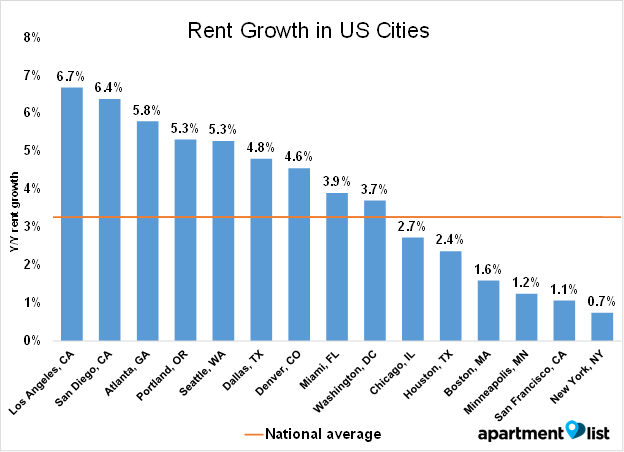 It ranks much better in terms of affordability when compared to other large cities such as NYC ($4,500 for a two-bedroom and $3,380 for a one-bedroom) or DC ($3,000 for a two-bedroom and $2,200 for a one-bedroom). Chicago rents experienced a 2.7 percent increase over the past year, about 0.6 percent lower than the national increase of 3.3 percent. This is 2 percent more than NYC’s rent increase, and 1.1 percent more than Boston.